On January 14, a new version of AirMore was released. 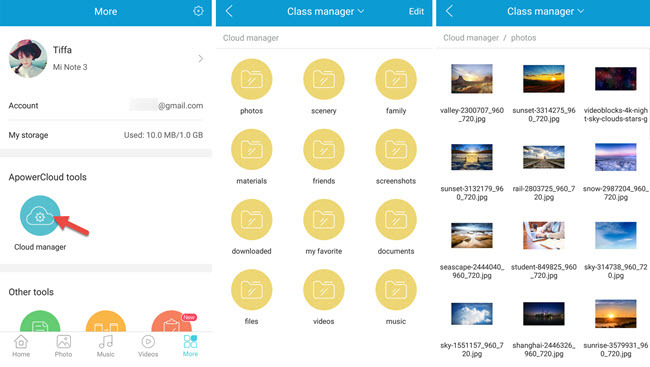 In this version, we added an amazing feature – ApowerCloud, a cloud storage for saving and managing files on different platforms. 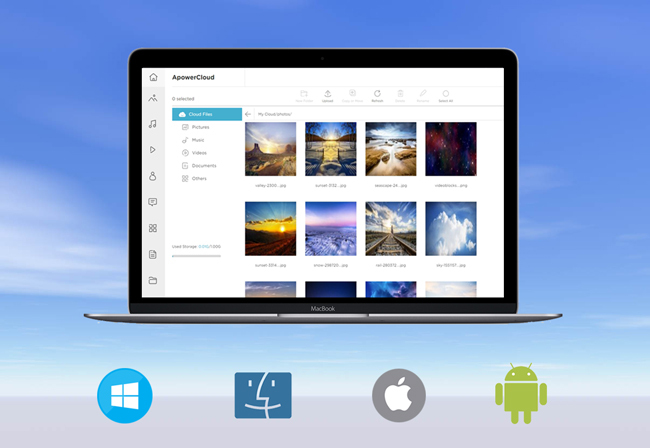 ApowerCloud is a free cloud storage system that allows you to upload and save media files so that you can free up more space on your phone or computer. Just create an account and upload files to it, then you can access and manage your files from different platforms quickly and easily, including files you uploaded from any Windows, Mac, iOS or Android devices. You can upload files in different formats to ApowerCloud, including pictures, music, videos, documents, and other files. Once uploaded, it will automatically recognize your file format and put it into the right category. You can create new folders to save files, and copy or move files from one folder to another. 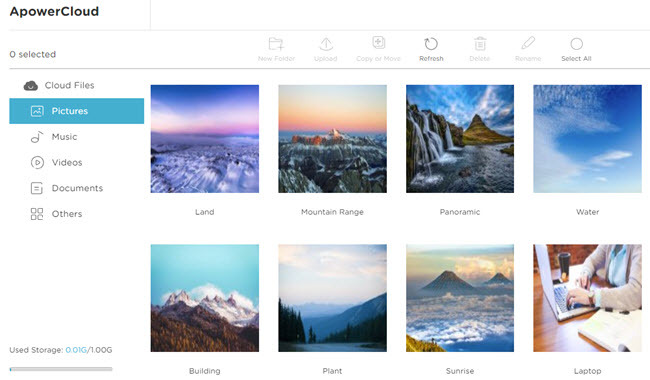 Also, in the default “Pictures” folder, you will find that all the uploaded photos will be automatically recognized and categorized by People and Location as well as by Tags, which makes photo management more convenient. To use this ApowerCloud function, just click the “ApowerCloud” icon on AirMore Web after you connect your phone to PC, just create an account and then you can upload and save files to it. Aside from the ApowerCloud function, AirMore still offers features for file transfer and phone management. 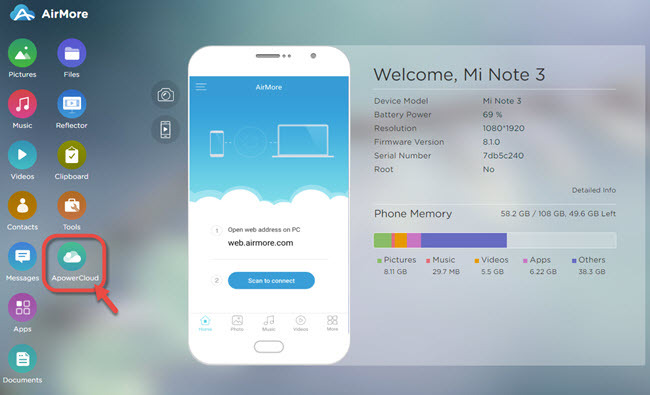 You can manage your phone data and transfer files from phone to PC or vice versa, such as pictures, music, videos, apps, documents, and other files. In addition, you can use the Clipboard function to paste contents to your phone directly. If you are using Android, you can also access your phone contacts and messages and back them up onto your PC. A reflector function is also available for you to mirror your phone screen to your computer.